Shannon has won an astounding 59 International and 49 National competition medals. Over half of these have been gold. 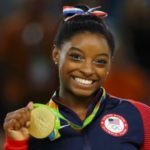 She is the only US gymnast to win 2 World All-Around Titles and she is the first American female to medal in the individual all-around of a non-boycotted Olympics. 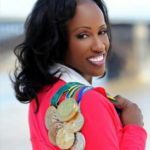 Her tally of five medals (2 silver, 3 bronze) at the 1992 Olympics was the most medals won by a US athlete in any sport. 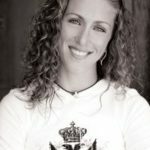 At the ’96 Games, she led the ”Magnificent Seven” to the US Women’s first ever Team Gold and for the first time for any American gymnast, she captured Gold on the Balance Beam. 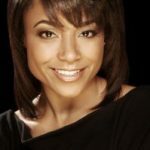 She is the first American gymnast to win an individual gold medal at a fully-attended Summer Games and cemented her place as the most accomplished gymnast, male or female, in U.S. Olympic history. Shannon hosts her weekly talk radio show in partnership with St. Vincent’s HealthCare dedicated to health and fitness. She also worked as an expert analyst with Yahoo! Sports and commentator on NBCOlympics.com during the 2012 Summer Games and continues to remain involved with the sport of gymnastics as a commentator and analyst. In January of 2011, Shannon was diagnosed with a malignant germ cell tumor, a form of ovarian cancer. She had the baseball sized tumor removed successfully and followed up with 9 weeks of chemotherapy for this rare germ cell malignancy. Shannon has remained open and public about her diagnosis and treatment and continues to empower women to make their health a priority through the media, with recent appearances on The Doctors, Katie (Katie Couric), Marie Osmond, Sanjay Gupta, E! and The Balancing Act (Lifetime Television). Shannon is currently cancer free and continues to be a strong advocate for early detection. She is the Honorary Chairperson for the nation’s first ever National Women’s Survivors Convention and the Honorary Chair of Turn the Towns Teal(C) 2013 Campaign. Shannon, her husband and son had their miracle baby girl in June 2013! Look for the Shannon Miller Fitness Collection, a workout clothing line for the busy woman, launched August of 2013 in Bealls Department Stores!